Let’s face it, a digital call-to-action is needed if you want your audience to take the next step. Traditional content can certainly have a call-to-action (and often does). However, a digital call-to-action is arguably the most important factor when it comes to your online messaging. Your social media posts, online content, and digital forms must see some action to be successful. Here are several examples to perfect your call-to-action copy. You likely see a digital call-to-action every hour throughout your day. It connects sales to marketing. A good CTA has three elements needing perfection. If you want people to take the next step — and who doesn’t — you’ll need to perfect your digital call-to-action. First, go past what’s overdone and quit being boring. Good CTAs are simple but effective. Furthermore, they beckon users to take action. For instance, studies have shown that arrows entice readers to “move” towards something, so try using arrows or symbols crafting your call-to-action. To start, let’s look at landing pages with crazy-good CTAs. Spotify literally uses four sentences (and short ones!) to describe what you’re signing up for. 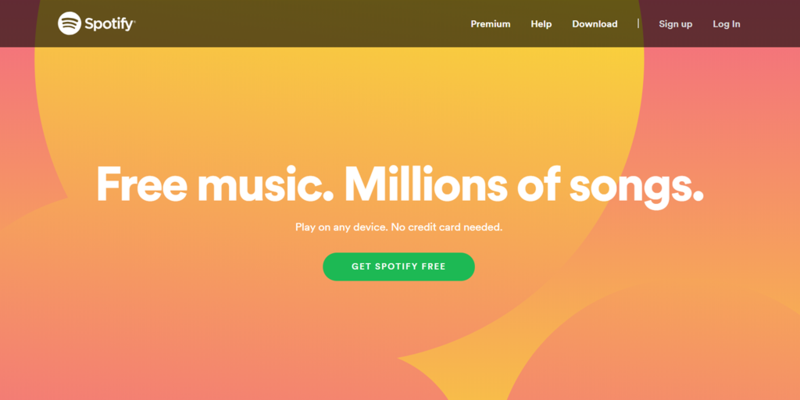 Then, they use a green button which stands out saying, “Get Spotify Free.” They’re not only reinforcing the brand in their digital call-to-action button, they’re using one of society’s most favorite words … FREE. 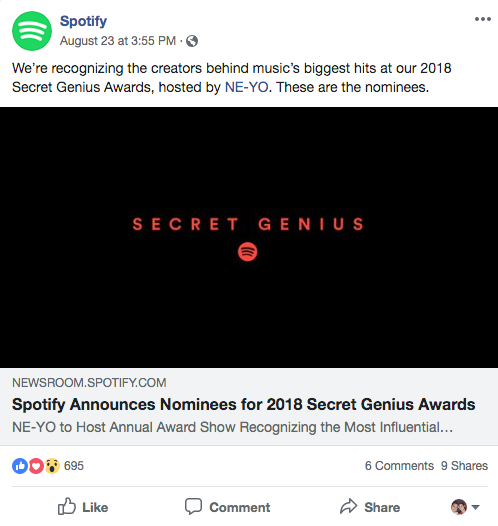 On Facebook, Spotify doesn’t even bother with a boring CTA like, “click for the nominees.” They assume your action by saying, “here are the nominees” and leaving the link for you to do the rest. 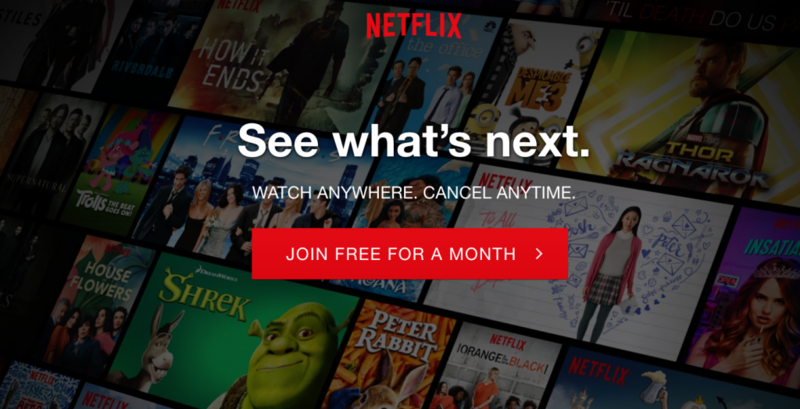 Netflix takes a similar approach. The copy is short, sweet, and addresses any potential issues. Watch anywhere. Cancel anytime. Then they use a standout red button with the word free and an arrow showing action. 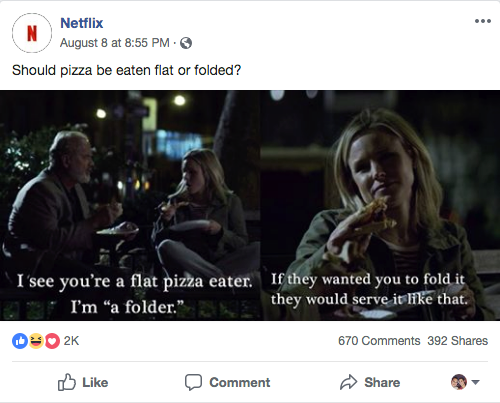 On Facebook, the movie brand uses an iconic TV clip and a simple question to invoke engagement. Seeing a trend here? Dropbox uses small, concise sentences to highlight benefit statements. And surprisingly they give two options for their call-to-action. And On Facebook, they don’t use a strong digital call-to-action on their posts. Perhaps that’s why their engagement is low? 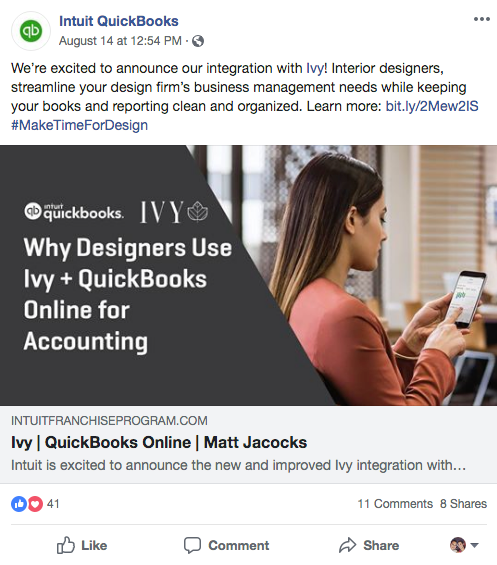 QuickBooks is another use case for a double call-to-action. Clearly, they’re using their sale of 50% for a “limited time” to spark a sense of urgency. On Facebook, QuickBooks opts for a lame-o “learn more” digital call-to-action. But hey, this could be a use case for why basic also works! 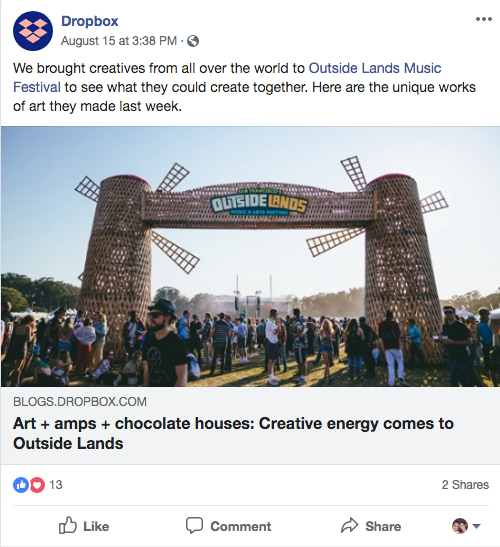 Additionally, if you’re looking for more calls-to-action to use on Facebook, here are 40 ready-to-use Facebook CTAs for you right here. In conclusion, the one surefire way to perfect your digital call-to-action (or any CTA) is to practice! Do yourself a favor and start split testing your CTAs. What I mean by that is to see which language prompts users to take action. As an example, our client, a recognizable wine brand, listed one of their key performance indicators as finding out which CTA got the most conversions on their Facebook ads. Using approved copy, we’re currently running through all of the calls-to-action to see which ones deliver the most actions. You can do your own testing with organic digital media post or your advertising. Either way, you’ll be honing your craft and getting qualitative data to help you make better CTA choices. What are some of the best calls-to-action you’ve seen online? Let me know in the comments section below! 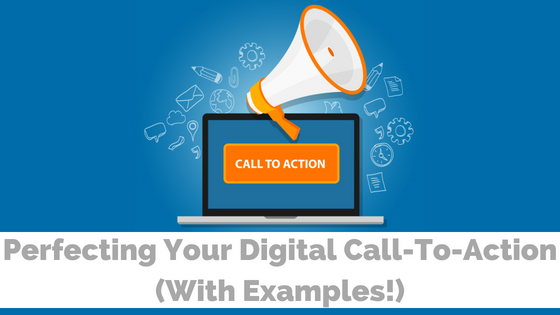 The post Perfecting Your Digital Call-To-Action (With Examples!) appeared first on B Squared Media.